Acquiring a gift for a culinary enthused friend or loved one can be quite difficult at times, especially if they already possess the latest gadgets and kitchen tools. However, in my opinion, selecting the perfect recipe books are gifts that have staying power. Food blogger and Le Cordon Bleu trained chef, Tess Ward has been a personal inspiration for some time, so I was excited to hear about this book coming out. The Naked Diet author is forthcoming with a fair amount of content geared toward how and when to detox properly with food, and there are excellent suggestions on certain areas of focus during your detox, (i.e., the stomach and the intestine with a breakdown on digestion, et cetera). Overall, this is a great book to have in your cookery arsenal. 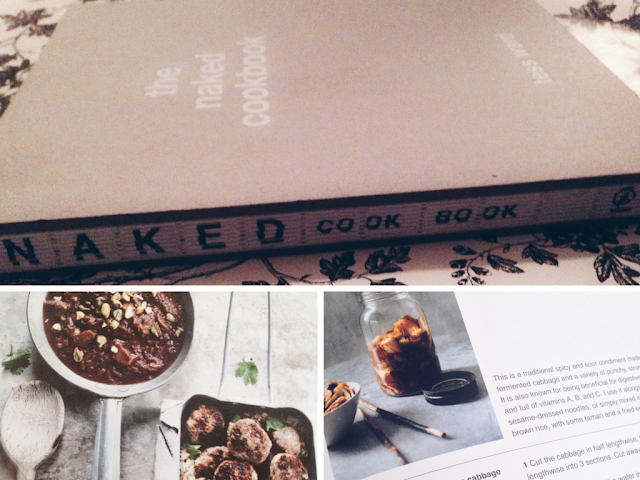 The Naked Cookbook provides a little bit of everything: astute in execution, and focusses on raw unprocessed ingredients, juicing, and clean eating. Consequently, your eating habits become better, thus increasing your energy and weight loss. There are some pretty earthy and succulent recipes within this book, many of which don't take extremely complex ingredients, just fresh elements. I made the salmon tartare with wasabi crème fraîche, and tried the goji berry lettuce wraps (but with prawns, instead of meat). They were both delicious! I'm interested in testing the other recipes from the book and since I already cook and bake, the recipes seem fairly easy to grab hold of (instruction-wise). Although, if you're new to cooking in general it's more of an intermediate cookery book rather than a beginner's guide. This book is available 17 May. Pre-order it here. I have not been to Rome yet, but my family have been to Italy many times and have always told me how much they adore Rome, as well as other surrounding cities. 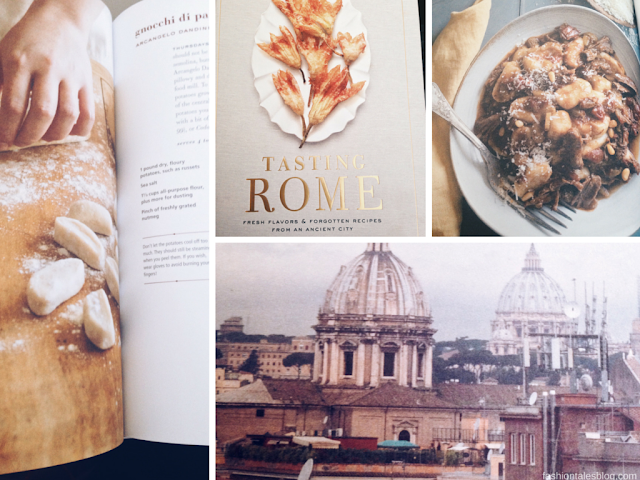 This book was fun to read, it's a great collection of recipes, culture, and storytelling pertaining to Italian cuisine as well as the experiences of the author's adopted city, Rome. Kristina and Katie give you a premier ticket directly to Rome, and you needn't pack anything at all! Simply open your eyes and let them take you on a gastronomic journey with tales of the historic city. Indeed, you will learn something. Why I liked it: I love gourmet pizzas, however as a person who isn't too keen on eating a lot of pasta or Italian cuisine typically, I found this book surprisingly refreshing. Overall, the recipes are rather doable for all levels of cooking, and there's something for everyone, namely those who love Italian food. From fresh hand-made breads to unique range in pizzas, amongst the good-hearted diverse variety of regional recipes to choose from. Some of the recipes will have you wanting to jump in the photography to smell the aroma seeping through the pages. Now, I cannot wait to visit Rome in the near future. Buy it here! Above images taken from books. I was given early released copies of all books via the publisher. All opinions are my own & honestly expressed. 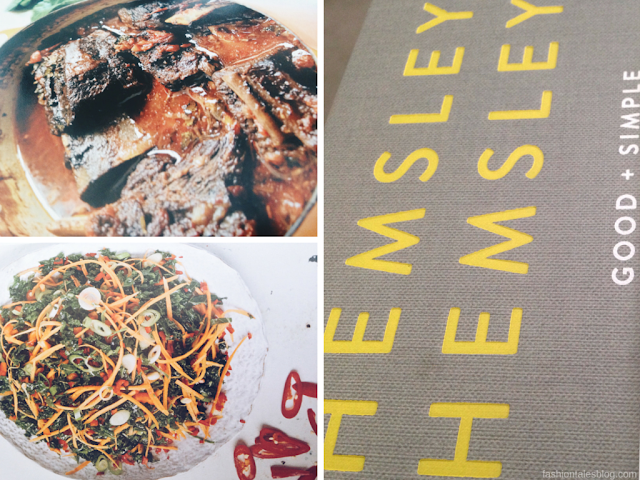 I have been following the Hemsley ladies for quite a while, so when I heard of that they were publishing a new cook, I knew that I would love it. We've just started our own garden a several years ago and we tend to use the fresh herbs, spices, and veggies from our own garden, which helps with cooking. There are plenty of accommodating recipes for veggie lovers, meat-lovers, and more! Good + Simple is well-worth adding to your cookery library. The two London-based sisters really focus on healthy living—for the stylish lifestyle—copious pages of wholesome cuisine is the result. Why I liked it: The layout and entirely everything about the book is something to be appreciated sans feeling like you're reading a sermon. It's visually fulfilling, and chock-full of colourful, healthy, and tasty recipes to delight in (from traditional muffins with a twist to wellness in eating, and hearty main courses). It's like cooking with friends. You can watch these lovelies TV series here. If you're seeking delicious variety, then the book does not disappoint. Buy it here. 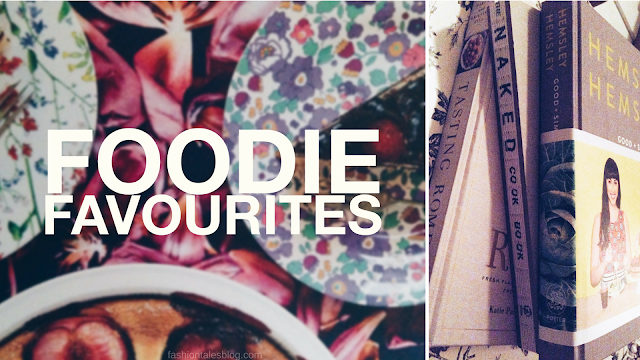 Do you have a favourite culinary book this year? I would enjoy any of these books. Great selection for any foodie. Have a fun weekend.